Here are the best books that I read this month. The summaries and pictures come from Goodreads, and the reviews are mine. My review: The narrator, Death, tells the story of an orphan, Liesel Meminger, and several families living outside of Munich during WWII. This is by far the best book I've read this year. It's the kind of book that makes you sit in stunned silence for a few seconds after finishing it. The story is a familiar one, but the writing is poetic and beautiful. There were several times where I stopped and reread sentences or whole paragraphs because I liked them so much. This is some of the most interesting writing I've ever seen in a young adult book. The strangeness of the language totally fits Death, the strange, nonhuman narrator. I do understand the negative reviews that this book gets. It's experimental, the narrator is extremely intrusive, the writing draws attention to itself, the book is hard to read quickly, and the story isn't anything new. However, none of that bothered me. I thought this book was fascinating. I read most of the books in this series this month, and I loved the entire series. The first book wasn’t my favorite, but I don’t want to spoil the series if you haven’t read it, so I’m only posting the first book here. My review: This book is fun. I enjoyed it a lot, and I know that I would have gone nuts over it if I had read it as a ten-year-old instead of as an adult. The author has a wonderful sense of humor. There were several literal laugh-out-loud moments. Percy is a very likable character, and I think a lot of kids can relate to his struggles with school and his conflicts with his obnoxious stepfather. My favorite element of the story was the fact that the characters' "disabilities" were actually strengths or coverups for something awesome. The wheelchair was actually hiding the fact that the man in the wheelchair was a centaur, ADHD helps kids become great warriors, that type of thing. I thought it was clever, and it sends a good message to young readers. 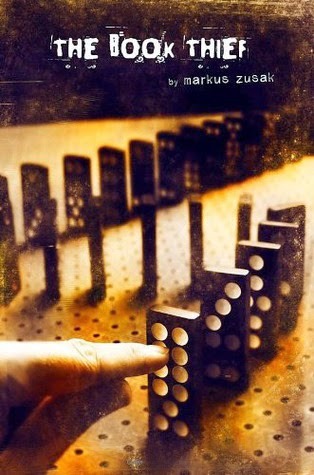 This book is very similar to Harry Potter, so if you liked those books, you might like this one. For adult readers, a lot of the plot twists are predictable. I was always a few steps ahead of the characters. They kept making the same stupid mistakes over and over (and over). Young readers probably won't notice this as much as adult readers. If I had to pick something that I didn't like about the book, it would be the editing and printing. There were very obvious typos and errors. The words on some of the pages were blurred or smeared. The ink had bled through the paper in some places. It made me very happy that I'm not dyslexic. C'mon, Disney, if you want to publish books, you'll have to do better. 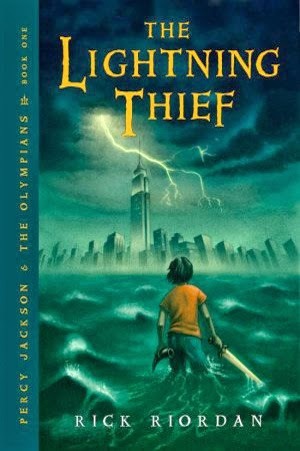 I’m currently reading: The Last Olympian (Percy Jackson & The Olympians Book 5) – Rick Riordan. I made the meme myself this week instead of stealing it from the Internet. Aren’t you proud of me? I spend a lot of time on Goodreads because I actually enjoy reading book reviews. I’m fascinated by the fact that people can have massively different reactions to the same book, and I truly appreciate reviews that are detailed and thoughtful. These reviews are irritating and sad. I skip over as many of them as I can. I know that some of them were posted because the reviewer wanted to be irritating and get a reaction from people, so maybe bad reviews say more about the reviewer than the book being reviewed. For people who aren’t attention-seeking trolls, there are ways to write a good negative review. I think the best way is to state your opinion and back it up with evidence from the book. Be specific. Be detailed. If you stopped reading, say where you stopped and why. If you liked something about the book, include that in the review. Don’t take quotes or the actions of the characters out of context. Remember that just because you disliked the book doesn’t mean that the book is bad or that people who like it are dumb. Just because you disliked the author’s writing style doesn’t mean that the author doesn’t know how to write. Just because you disagree with the characters’ decisions doesn’t mean that the characters are stupid. Remember to be kind. You can be kind while giving a negative review. I’ve seen it done a thousand times. The anonymous and impersonal nature of the Internet makes it possible to say things in reviews that you’d never say in person, but that doesn’t mean that you should say those things. All of the authors who I know read the reviews for their books. Even if they don’t respond to the review, they are reading. In most cases, the author has spent years working on the book that you’re reviewing. They’ve given up time with their families, spent countless hours writing and rewriting the same scene over and over, brought the book to an editor or writing workshop and had it picked apart, and stayed up all night to put it back together. This book is important to the author. If it wasn’t, they wouldn’t have written it. So, most of all, remember that there is a human on the other end of your review. Be kind to that person. So, why do bad books get published? In my opinion, it’s rare that a bad book gets published by a traditional publisher. (Self-publishing is a whole different animal that I’m not going to deal with here.) Usually, the staff at traditional publishing houses knows what they’re doing, and they reject the bad books. Books that are poorly written, confusing, boring, etc. are rejected. I can hear you saying, “But I’ve read traditionally-published books that are poorly written, confusing, boring, etc.” I encourage you to go on Goodreads or Amazon and check out the rating frequency for the book that you think is bad. Does the book have more 4-5 star ratings than 1-2 star ratings? If the book has more than a few ratings, I’m betting that the majority of them are 4-5 stars. That means that most readers enjoyed this book and didn’t think that it was bad. Why did you think the book was bad when so many other people loved it? Probably because you’re not that particular book’s target audience. For some reason, the book just didn’t work for you. That doesn’t mean that the book is bad, it just means that the book isn’t your type of thing, and that’s okay. I hate a lot of books that everyone else loves. The Twilight series is a good example of books that people either love or hate. Some people believe that the series is about a strong, determined woman who wants a family and will do anything to protect that family once she has it. Other people believe that the series is about a weak woman who doesn’t think that she can live without her abusive boyfriend. There is plenty of evidence in the text of the series to support both of these views, so neither one is incorrect. The Twilight series has way more 4-5 star ratings on Goodreads than 1-2 star ratings. 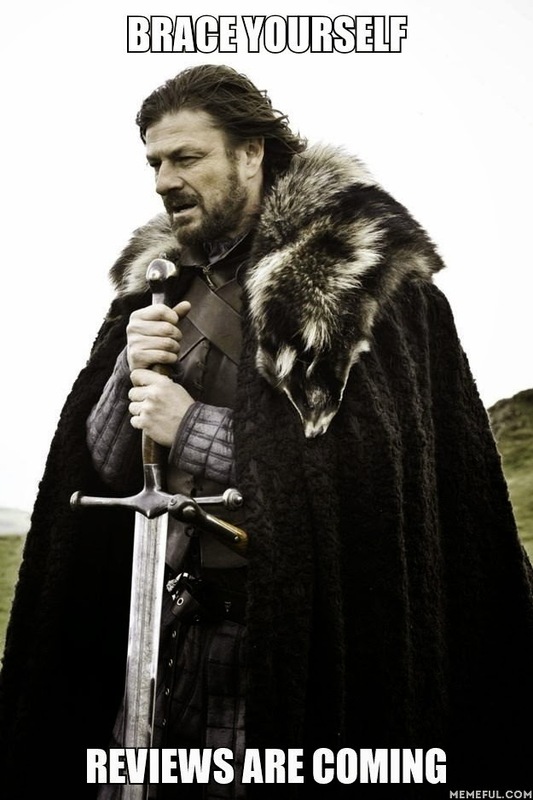 A lot of people must be reading the series the first way. Can you really argue that a book is bad and shouldn’t have been published if it’s working for so many people? Publishers want to publish books that work for the majority of people because that’s how they make money. You can make a strong argument that the Twilight books are bad because they’re poorly written, but how much should the quality of the writing factor into a publisher’s decision to publish? Are other elements of the book more important than the writing? You can also argue that the books are bad because the main characters are poor role models for young people, but is it really a book’s job to be a role model for young people? I don’t know the answers to these questions. If you have an opinion, I’d love to hear it in the comments. Do books that are almost universally hated ever get published? Yes, occasionally. The people who work at publishing companies are human. They make mistakes. They sometimes misjudge a book’s appeal or have a hard time getting a book to its target audience. However, I think it’s fairly rare that a book published by a large company is universally hated. The staff is usually very talented at finding good books and getting them to the public. If they weren’t, the company wouldn’t be in business for very long because nobody would be buying their books. For more information on this topic, check out this video by fantasy author Brandon Sanderson. Have you seen the iPad commercials that have been on television over the past few months? If not, click below. The poem on the commercial is a segment of Walt Whitman’s O Me! O Life! I was so excited to hear a poem on television that I had to blog about it. I’m used to hearing songs on commercials, so a poem was a nice change. Well done, Apple. I hope we hear more poetry on TV soon.